What did Vogue's first cover look like? When did film stars become part of the fashion industry? What led to the development of ready-to-wear clothing? How did the paintings of Mondrian, Dali and Warhol end up on the runway? These and other questions are answered in this eye-opening look at different aspects of the history of fashion - from Elizabeth I's "Mask of Youth," to Lady Gaga's "meat dress." 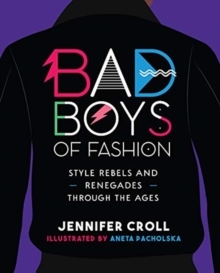 Arranged by topic, the lavishly illustrated chapters explore themes such as war and the military; ready-to wear; fashion in film, art, and sports; celebrity; gay and lesbian fashion; globalization and the internet. 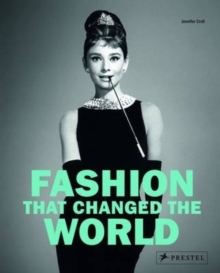 Fashion That Changed the World digs into a multitude of social, economic and cultural factors that changed the course of fashion over the last few hundred years. 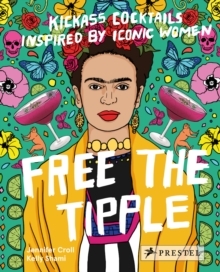 Filled with colourful images - many of them full-page - and extensive essays that are both informative and engaging, this indispensable reference offers a historical snapshot of what we used to wear and why we choose the clothes that we do today.